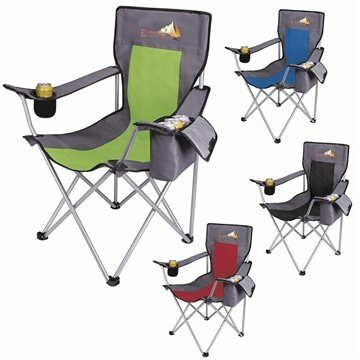 The ultimate camping chair has arrived! Lounge the days away in comfort with this fun chair. Features a soft sided cooler in one armrest, and a KOOZIE® can cooler in the other, and durable steel frame. Comes inserted in carry bag for easy travel. Material: Seat: 600D Polyester; Frame: Steel.